State Department admits parts of footage from a 2013 press briefing on talks with Iran were intentionally deleted. The State Department has admitted that an official intentionally deleted several minutes of video footage from a 2013 press briefing, where a top spokeswoman seemed to acknowledge misleading the press over the Iran nuclear deal, Fox News reported Wednesday. “There was a deliberate request [to delete the footage] – this wasn’t a technical glitch,” State Department spokesman John Kirby said, in admitting that an unidentified official had a video editor “excise” the segment. 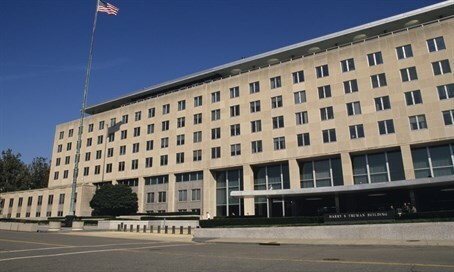 The State Department had faced questions earlier this year over the block of missing tape from a December 2013 briefing. At that briefing, then-spokeswoman Jen Psaki was asked by Fox News’ James Rosen about an earlier claim that no direct, secret talks were underway between the U.S. and Iran – when, in fact, they were. Fox News later discovered, however, that this exchange was missing from the department’s official website and its YouTube channel. Eight minutes from the briefing, including the comments on the Iran deal, were edited out and replaced with a white-flash effect. Officials initially suggested a "glitch" occurred, but on Wednesday, current State Department spokesman Kirby said someone had censored the video intentionally. Kirby said he could not find out who was responsible, but described such action as unacceptable. He added he learned that on the same day of the 2013 briefing, a video editor received a call from a State Department public affairs official who made "a specific request ... to excise that portion of the briefing." Kirby says he has since ordered the original video restored on all platforms and asked the State Department's legal adviser to examine the matter. He said no further investigation will be made, primarily because no rules were in place against such actions. Psaki, who is now White House Communications Director, said in a statement later on Wednesday, "I had no knowledge of nor would I have approved of any form of editing or cutting my briefing transcript on any subject while at the State Department." The State Department’s admission comes days after Ben Rhodes, one of President Barack Obama's top advisers, admitted that the dealings behind the agreement struck between Iran and world powers last summer were not exactly as presented to the public. While the American public was led to believe that negotiations between the West and the Islamic Republic took off after the election of “moderate” President Hassan Rouhani, Rhodes admitted that the talks began earlier than that with Iranian hardliners. In a February 2013 briefing, then-State Department spokeswoman Victoria Nuland claimed there were no secret, direct talks with Iran at the time, noted Fox News. It was Psaki’s explanation of that briefing, months later in December, that was later scrubbed from the footage archives.